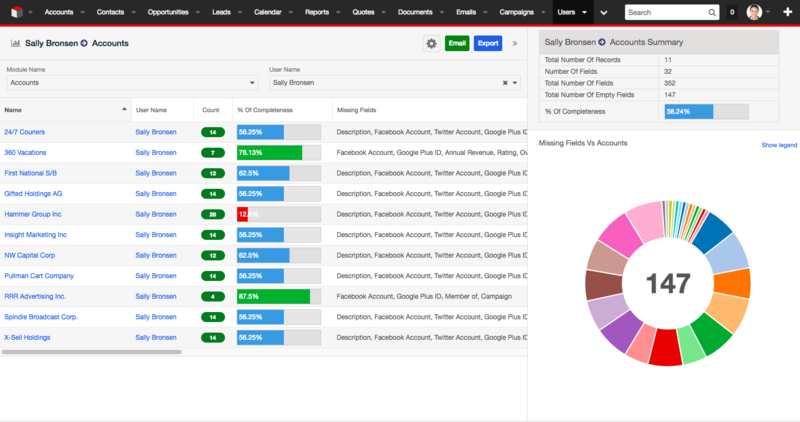 This dashboard helps SugarCRM admins to view and download missing data across key modules instantly. It helps them saving bucket loads of effort and time each month which they would spend otherwise in building Sugar reports and manual analysis. This Dashboard helps SugarCRM Admins identify the data gaps across key modules that are required in various business development activities including campaigns, sales forecasts and strategies, both at module and user levels. They get a complete picture of the missing data both at User and Module levels, through which they can easily locate what is missing where and who is responsible for what, through simple charts and downloadable reports. "It chops off more than 80% of the time in just one click that we used to spend." Visual Sales Pipeline is the perfect tool for sales managers and representatives to visually manage what's upcoming in their pipelines. The perfect compliment for sales meetings.